The MoonPie hit the markets of Chattanooga, Tennessee in 1917 and R.C. Cola arrived in 1934. They were an instant success when they combined forces in the 1950's. You could buy an RC (Royal Crown) Cola and MoonPie special for 10 cents, back then, that was a full 16 ounces of soda and the MoonPies' weighed about near (that's southern for approximate size) a half pound. This combo was soon labeled as the instant fast food lunch of the fifties. Although it's never been acknowledged that the merging of the two was a planned marketing strategy or just plain luck. This combination has inspired many to write, read and celebrate in its existence. Songs about the combo include "RC and Moonpie" sang by NRBQ to "Moonpie" by Edwin Hubbard to a popular children's musical version by Bill Harley called "Weezie and the Moon Pies". Several books on the subject include "The Great American Moon Pie Handbook" by Ron Dickson in 1985 and the somewhat newer children's book "Jimmy Zangwow's Out-of-This-World Moon Pie Adventure" written by Tony DiTerlizzi and released in 2000. The World Championship Moonpie Eating Contest is held annually in the town of Oneonta, Alabama. You can bet they wash down those MoonPies with an ice cold RC Cola. 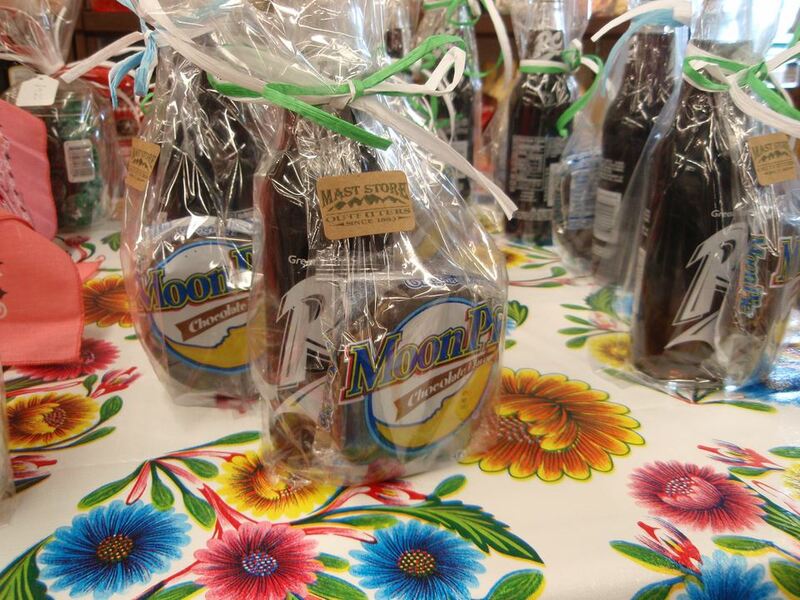 Every year in June there is a Craft Festival in Bell Buckle, Tennessee dedicated and called the RC & Moon Pie Craft Fair. This fair holds contests with names that read the Moon Pie Song Contest and Moon Pie Madness. Millions of special made mini MoonPies are thrown every year during the Mardi Gras. The tradition has newer beginnings that date back to the mid-1970's when revilers were hunting for lighter items to toss. Also during the seventies came a new style of eating the MoonPie; "heated". The invention of the microwave took eating a moon pie to a higher more wonderful and sinful level. One of the newest mouthwatering versions of the MoonPie creations is the MoonPie Ice Cream Sandwich made by the Matterhorn Company. The MoonPie and R.C. Cola combination has held fast in our southern state over the decades. Every southerner has fond memories of the MoonPie and RC Cola. The occasional afternoon walks to the local store to retrieve a MoonPie and an R.C.Cola with a parent was commonplace. Some of the most important parental conversations took place during the enjoyment of this delightful combination. The hurried traveler while stopping for a gas fill up, would regularly purchase an R.C. Cola and MoonPie to tie him or her over, might I add that a hurried stop in Tennessee is equivalent to about 20 minutes or so. We venture to say that every store in Nashville that carries food still has a MoonPie and R.C. Cola within its walls, from the local grocery store to gas stations to dollar stores. Not only have the R.C. Cola and MoonPie survived and flourished throughout the south, their popularity is still growing globally. You can now order these treats anytime, via the Internet, to anywhere in the world, although it is best to order during the winter months. Just in case you didn't know, R.C. Cola was an innovator in many areas. They were the first to introduce their beverage in an all aluminum can, the first to make a low-calorie diet cola (Diet Rite) and the first cola manufacturer to make a caffeine free Soda (R.C. 100).